Mark Brusse was born in the Dutch city of Alkmaar in 1937. From 1954 to 1959, he attended the Arnhem Academy of Fine Arts in the Netherlands. In 1960 he won a scholarship by Maison Descartes to spend eight months in Paris, where he grew acquainted with the Nouveaux Réalistes, led by Pierre Restany. Thanks to a scholarship awarded by the Harkness Foundation, he lived in New York City between 1965 and 1967, where he took an active role in the local artistic and intellectual avant-garde. 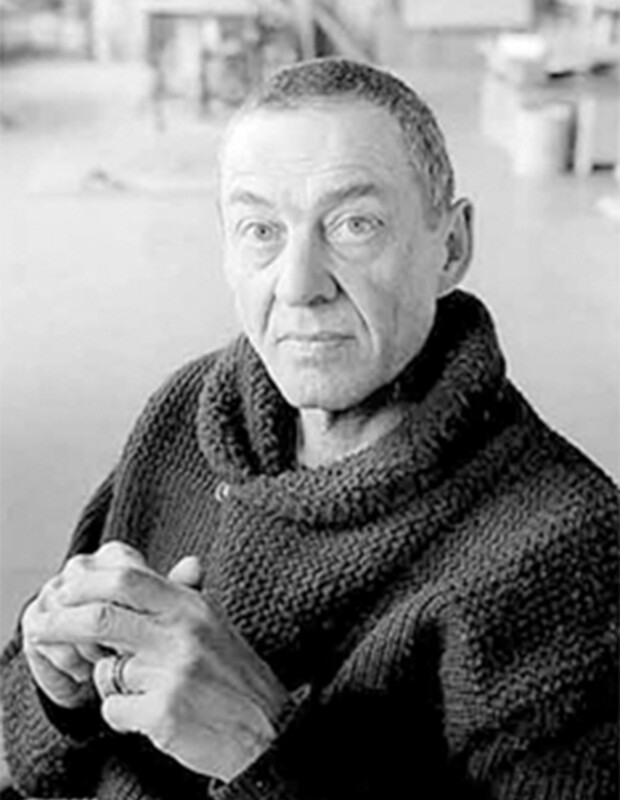 From 1970 to 1972, he worked in Berlin and first collaborated with John Cage. Interested in the ephemeral nature of the work of art, he participated in happenings and performances, as well as created a few public art pieces closely connected with the surrounding location. In addition to relief paintings that become three-dimensional objects, Brusse’s pieces expand throughout the exhibition space due to his peculiar way of assembling diverse media (wood, bronze, ceramics, stone). Since his first one-man exhibition in 1961, he has been regularly invited to solo and group shows in different countries. In 1969 he represented France at the Paris Biennale with a large-scale installation entitled Occupation de l’Espace, and participated at the Venice Biennale in 1975. His work was also represented at the important “Paris-New York” exhibition, held in Georges Pompidou Centre in 1977. Mark Brusse has created open-air sculptures for several sculpture symposia, such as Dogs own world, designed in 1987 for the Seoul Olympic Park, and O Guardião da Pedra que dorme [Guardian of the Sleeping Stone], made during the 5th Santo Tirso International Symposium of Contemporary Sculpture in 1999. He has lived and worked in Paris since 1961.